Although I will say that autumn is not my favorite time of year, there is something to be said about the change in seasons from summer to fall that awakens the senses and marks a transition of change. Whether it be the aromas of pumpkins spice lattes from your favorite local café, or the subtle hints of smoke from chimneys, to the drop in temperatures, the most visual for some of us are the color changes of foliage from a vibrant green to a dazzling array of bright red and orange colors. This last visual note, was the inspiration behind our Urban Iridescence Collection. As we transition from summer to fall, I am sure there are many Divas out there excited to finally break out their stylish jackets and trench coats along with all the cute wedges and heeled boots that are in trend. Fall wardrobe is noticeably different, in terms of not just material but color. Darker and more richer colors may come into play, and with that, your jewelry usually transitions to accommodate your look. Our Urban Iridescence Collection is all about vibrancy and color. Like the colorful leaves and foliage seen in the fall, our collection reflects this “kaleidoscope of colors” as seen in the shimmering beads and mirage of colorful rhinestones seen on these gorgeous pieces. To capture the vibrancy and vivid hues of the Urban Iridescence Collection, our images had to embrace both a chic metropolitan vibe inherent to our brand, along with the vibrant colors of the jewelry. Our goal was to capture richer color tones complementing the collection pieces, without losing that urban essence. So what better place to shoot our images then in the eclectic and colorful fashion district of Soho in Manhattan, NY. With that vision in place, on a bright and early Saturday morning, I met up with three so very talented women to bring the Urban Iridescence Collection to life, in a park in Soho. 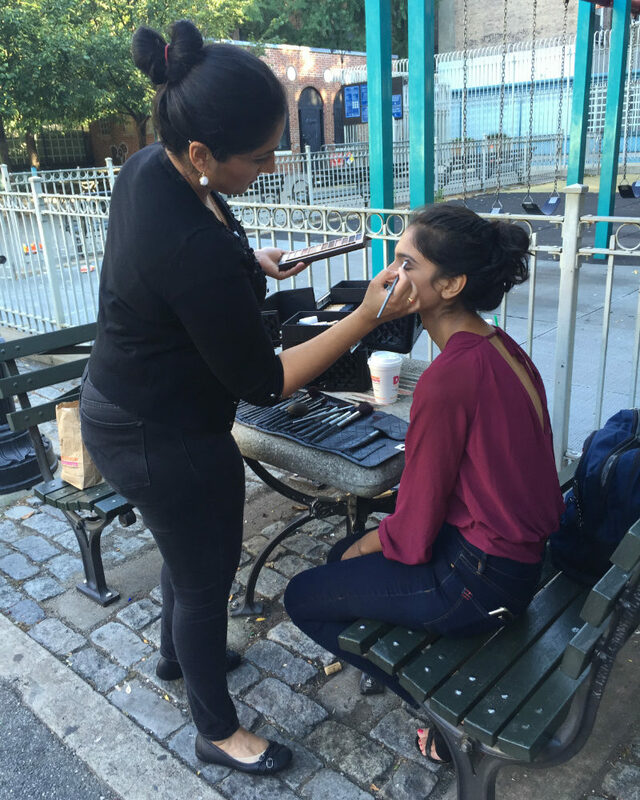 Our team for the day consisted of the talented Ashley Gallerani (of Ashley Gallerani photography), the amazing Anu Sharma (of MakeUp By Anu) and our gorgeous model, Deeksha Chawla. 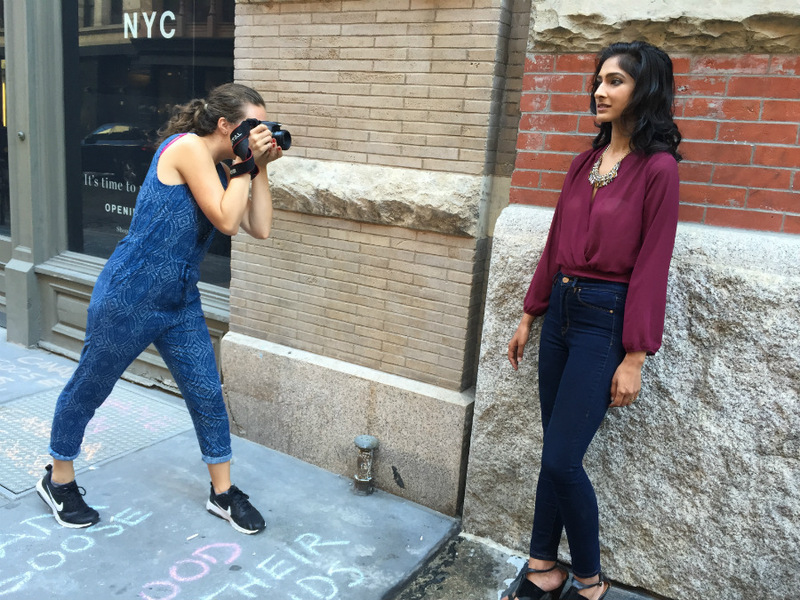 Over the next three hours we walked around the streets of Soho capturing images of our muse Deeksha, wearing select pieces from the Collection and other new pieces. So many beautiful images were taken with the goal of capturing the essence of the Collection pieces along with the autumn vibe of the city in the background. 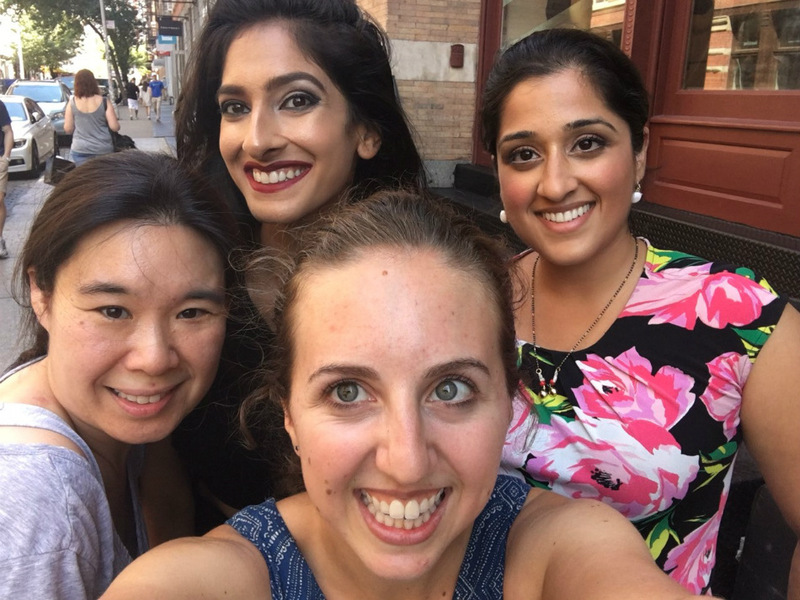 I want to personally thank Ashley, Anu, and Deeksha for their time and amazing talents they brought to this project. Ladies, I hope this is the first of more collaborations to come! Here are a few of the behind the scenes images of our day, along with the obligatory selfie to wrap up the fun day we had! 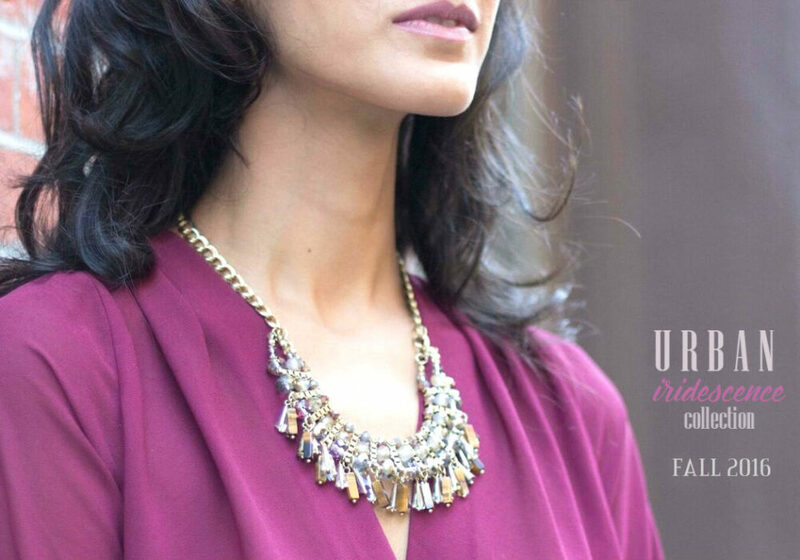 To check out the pieces in our Urban Iridescence Collection, visit our shop! « Guest Blogger Series: OOTD – Elegant Necklace Labor Day Trend!